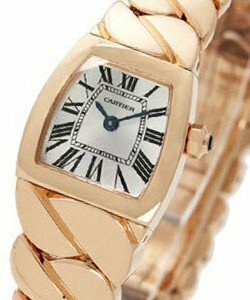 Cartier La Dona de Cartier Ladies Watch WE60050I with Quartz Movement, Silver Sunray Dial and Octagonal Crown Set with a Diamond. 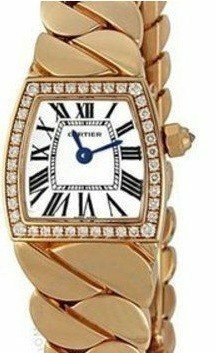 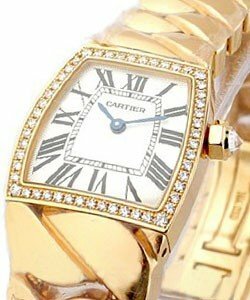 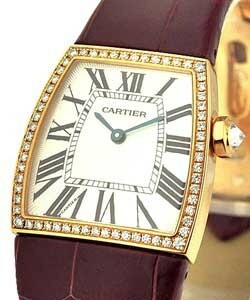 Cartier La Dona de Ladies Watch Features with Large size 18kt Rose Gold case with Diamond Bezel sized 26 mm and Bracelet and a Scratch Resistant Sapphire Crystal. 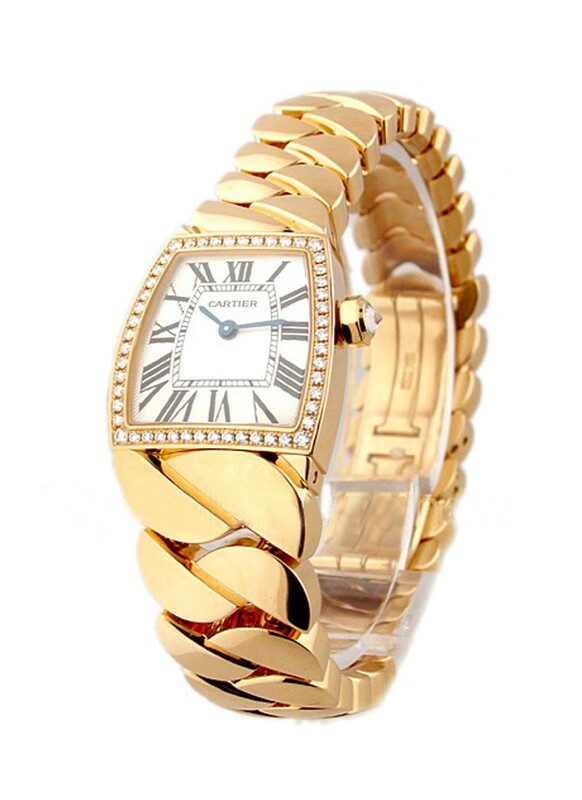 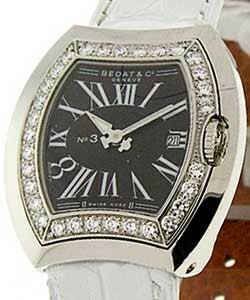 Water resistant at 30 meters (100 feet) another feature of The Cartier La Dona de Cartier Ladies Watch WE60050I.